Isabella will be 2 years old this December. 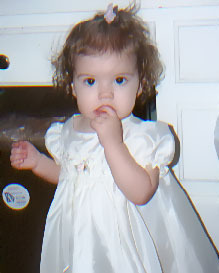 She is shown here in her baptism gown. Hobbies include teething, napping during the day and staying up past her bedtime at night.